When you're planning an event, one of the first things you need is a bit of inspiration. Whether you are planning a wedding, a corporate event, a bar mitzvah, or any other type of celebration, check out our variety of event design galleries. Planning a corporate event starts with a vision. What type of experience do you want your guests to have? Which theme represents your brand? How does your staff feel about different themes? 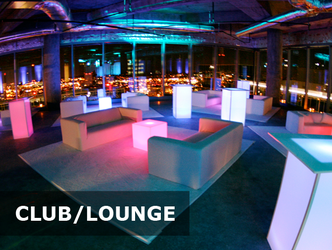 Those are all the types of questions you may want to consider while looking through our event design gallery. To get started, check out the corporate event planning section of our design gallery, or explore the fun concepts in our theme gallery. We can take your guests to Hollywood, the Land of Oz, Paris, or even back in time to the Roaring '20s. For out-of-the-box team building events, our camping and outdoor themes, carnival nights, and ball pits are all a hit. Better yet, combine multiple themes or customize your own corporate event. A wedding is a huge celebration of the love you have for your partner, and at Track Seven Events, we help you make the most of your big day. Our planning specialists can help you create a luxurious, traditional day, or we can help you showcase your unique personality with a custom designed theme. To start generating ideas, take a look at the wedding and fashion section of our event design portfolio. If you prefer a themed wedding, our theme gallery showcases events set in Asia, Ancient Egypt, or New York as well as other destinations. Alternatively, celebrate your first dance and lifelong commitment with a winter themed wedding reception, or use the design gallery for a jumping off point to create your own custom theme. At Track Seven Events, we love to celebrate bat and bar mitzvahs, and the bar mitzvah planning section of our event design gallery shows off some of the best photos of our favorite events. If you need ideas for tablescapes, dance floors, conversation lounges, bars, lighting, or any other aspect of your bar mitzvah, take a look at our photos. As the creative ideas start rolling, we can help you customize the celebration your child deserves. Planning a celebration for your sports team? Want a sports theme for a corporate event or bar mitzvah? Curious about integrating sports into another type of event? Then, the sports section of the event design gallery is just what you need. Ideal for day or evening events, our sports theme include stunning decor representing sports from baseball to swimming. Then, we can help you get the ball rolling for your sports-themed event.  At Track Seven Events, we have a long history of client satisfaction for all kinds of events, and we can help you take your event from ordinary to extraordinary. To see how we transform spaces, check out our before and after gallery. Ready to talk more about your event? Call 1-678-805-8825 today, email us at info@tracksevenevents.com, or fill out our contact form. Do you have images from your event that you'd like to add to our gallery?